Silver Softworks is one of the fastest growing Salesforce partners in the UK. 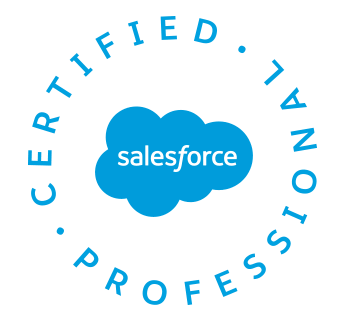 We are known for our deep experience in delivering transformative solutions built on the Salesforce platform, with a core ability to support innovators and change agents within our customer base. Silver Softworks have developed an enviable client base. Our deliberate choice to focus our operations and efforts on the Emerging Small Business (ESB) and Small/Medium Business (SMB) sectors continues to drive our passion for innovating across the Salesforce platform and finding solutions for companies much like our own. Our team have many years’ business and Salesforce experience working for some of the UK’s most recognisable brand names. We have delivered some of the UK’s most complex solutions on the Salesforce platform to date. Our consultants have developed a reputation for making change happen, as well as transferring knowledge and capability to our client’s organisation. The Company’s client-centric approach reinforces our commitment to building long term relationships and consistently exceeding expectations. More than 80% of Silver Softworks’ business comes from satisfied clients who recommend us to the wider market. Silver Softworks apply a best practice methodology to all engagements, that provides the same assurance and delivery capability as the “big five” consultancies, with a greater proportion of the “right people and skill sets at cost effective rates”. Our clients benefit from lower costs and a greater level of specialist experience and service than can only be provided by a niche company, without compromising on value. Silver Softworks is committed to providing the best advice, approaches and enabling technology; with our integrated team of specialists delivering in weeks the output that many organisations are previously used to seeing delivered in months. I’ve been extremely satisfied with the service and support TRL has received. I have no hesitation in recommending Silver Softworks to prospective clients. We’ve worked with three other Salesforce consultancies in the past, and can confidently say that Silver Softworks offer a superior service to them all, delivering on time and on budget, every time. Silver Softworks offer an efficient, first class service, contributing with insights and expertise to ensure I received the best ROI for my investment.